Hey friends! 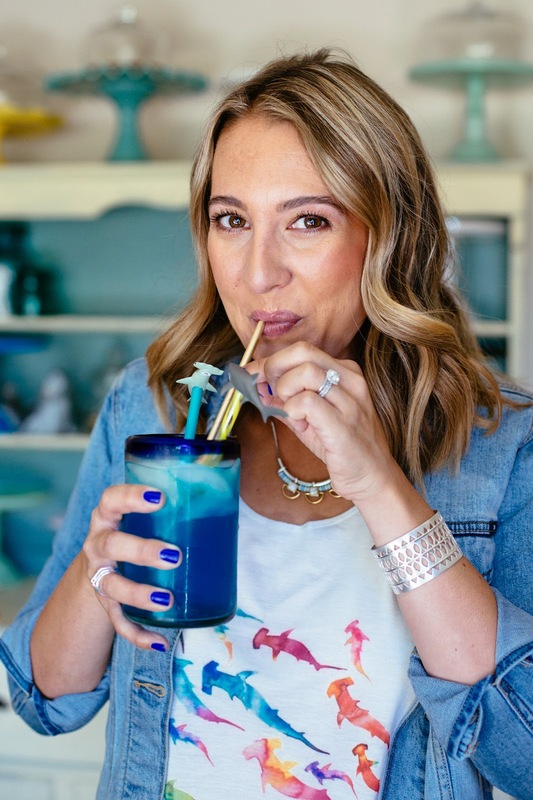 So if you've read this blog for a while you probably know that I'm a huge shark lover. (Not the San Jose Sharks of hockey, much to my husband's chagrin) but the beautiful majestic creatures of the ocean. They are so elegant, and gorgeous and badass. I just love them. Anyways, we are in the middle of Shark Week, and I couldn't think of a better occasion to whip up a little apertif, named after one of my very favorite species - the hammerhead. 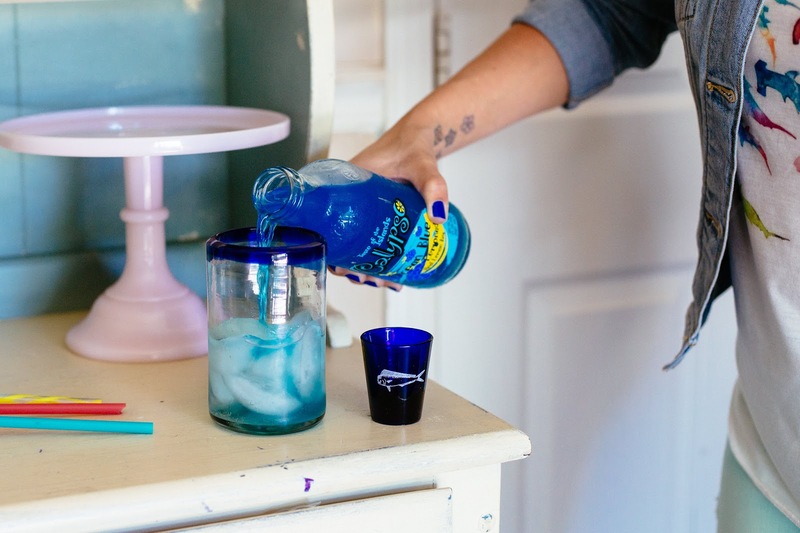 Real talk: I only used the blue lemonade because it was blue. I've made this drink again since taking pictures, using Simply Lemonade and a drop of blue food coloring just for affect, and like it better that way, as it is a lot less sweet. 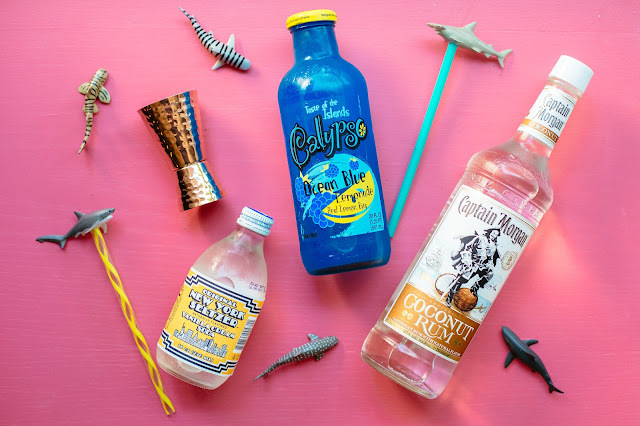 If you like the sweeter stuff, though, by all means go for the blue lemonade by Calypso. I found it at Nob Hill. ...who else is stoked that New York Seltzer is back??! 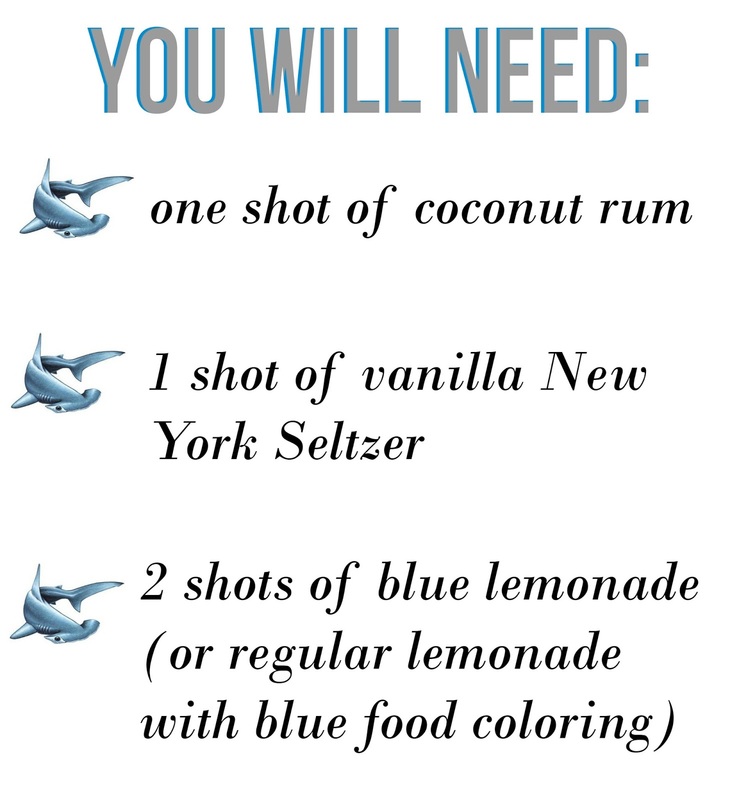 Then approximately three ounces (two standard-sized shots) of your blue lemonade, and that's it! Like the stir sticks?? Tony made them for me. I told him I was doing a shark week cocktail, and he came up with the idea. 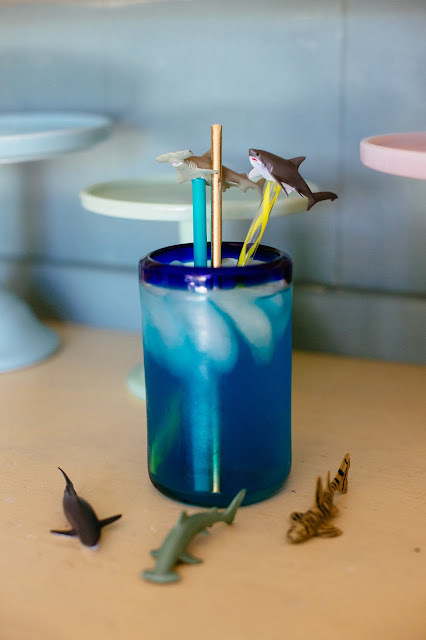 I have a little apothecary jar filled with THESE sharks on a shelf in our living room, so he grabbed a few, drilled a hole in their bellies and then glued in a reusable straw. (He cut the reusable straws down to a shorter size too.) Voila! I sure do love having such a crafty handy hubby! 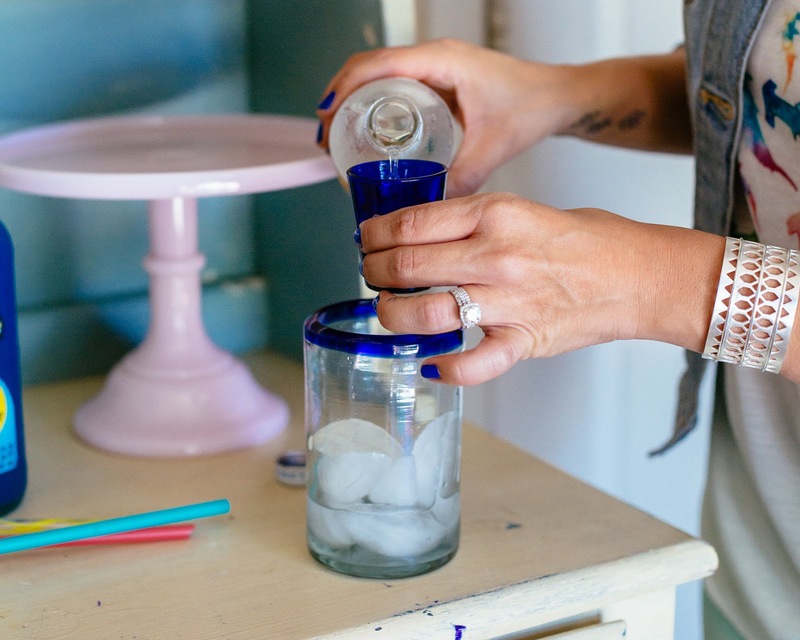 This is a summer sipper! The flavors of coconut, lemon and vanilla all go really well together. 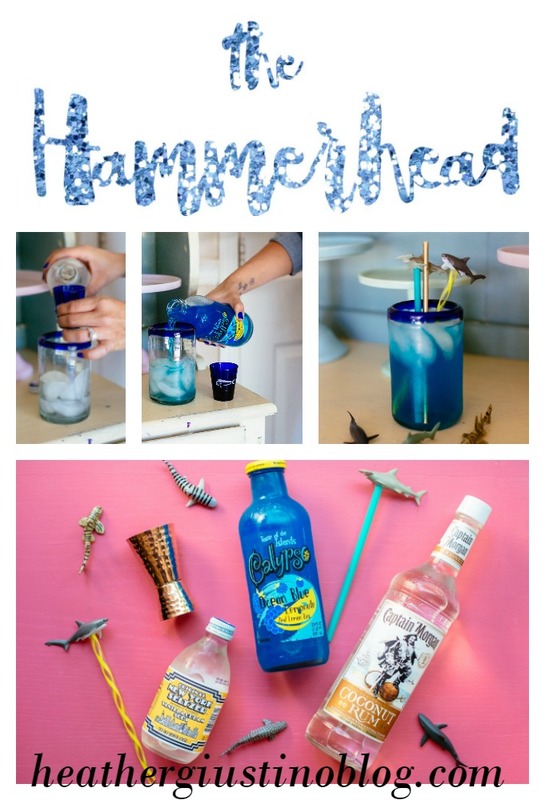 Try making a batch of hammerheads for your friends, and then watch shark week together! Special thanks to Maryam of Hi + Hello Photography for the amazing pictures! She is so incredibly talented, and if you're in the Bay Area, make sure to keep her in mind for your photo needs! 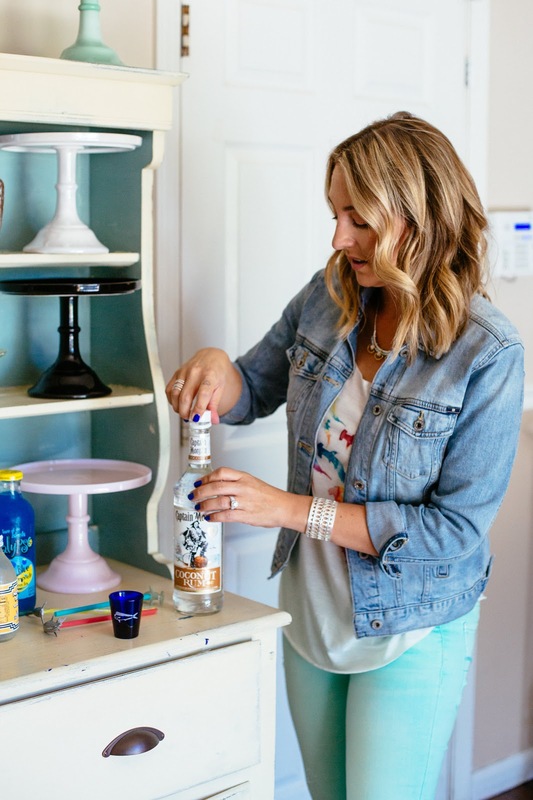 My shirt is from HERE, all bar ware is from Homegoods and all jewelry is by Stella & Dot. Here are some pinnable images if you want to save this recipe!